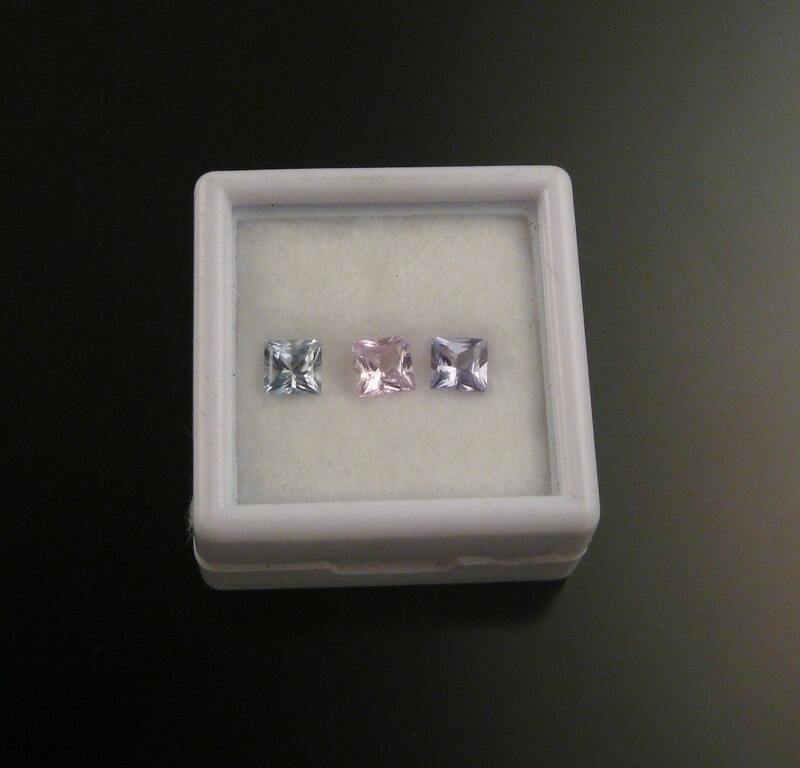 These beautiful 4mm square Sapphires are eye clean and expertly cut. 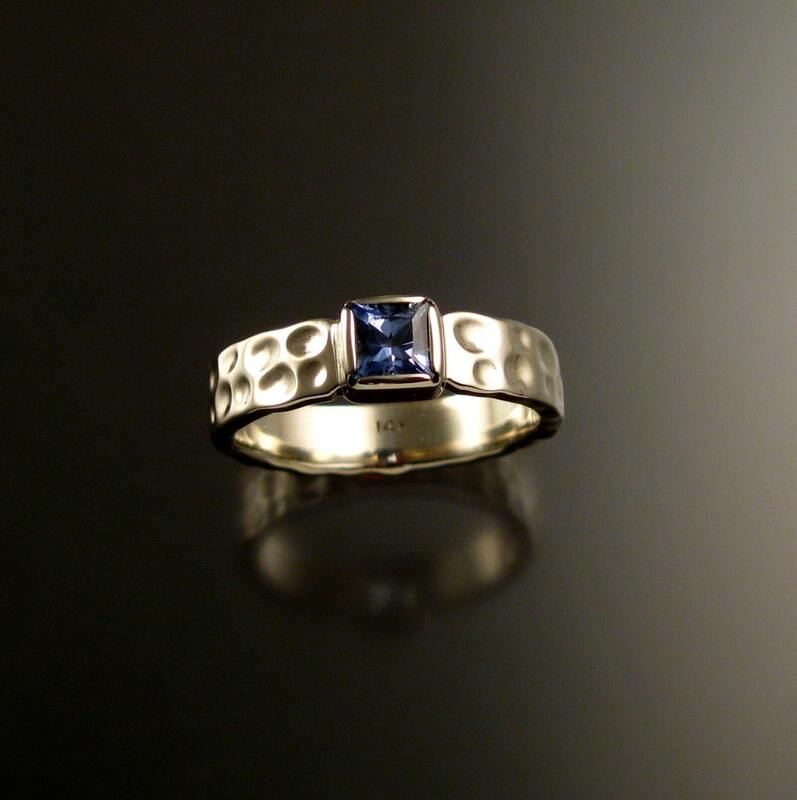 Sapphire is a goon substitute for a Diamond because it rates a 9 on the Mohs scale for hardness (second only to Diamond). They are un-heated natural un-treated in any way Sapphires from Sri Lanka. They will almost look white unless you see them together but they have a slightly violet, pink, or powder-blue color. Bezel set with 1 1/2mm thick and 4.25mm wide band. 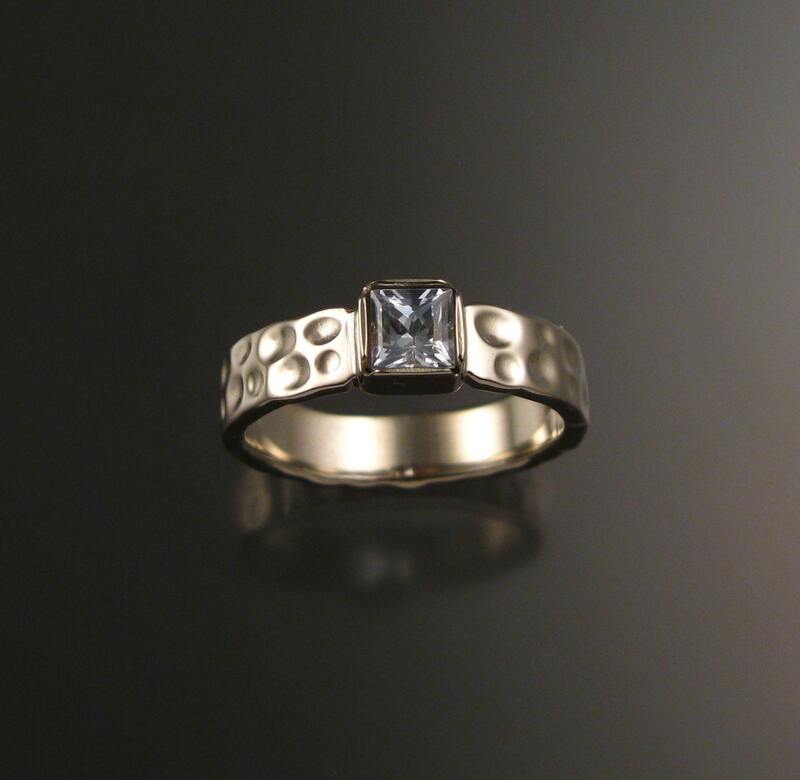 Set in 14k white gold . The first three pictures are shown with the stones un-set. 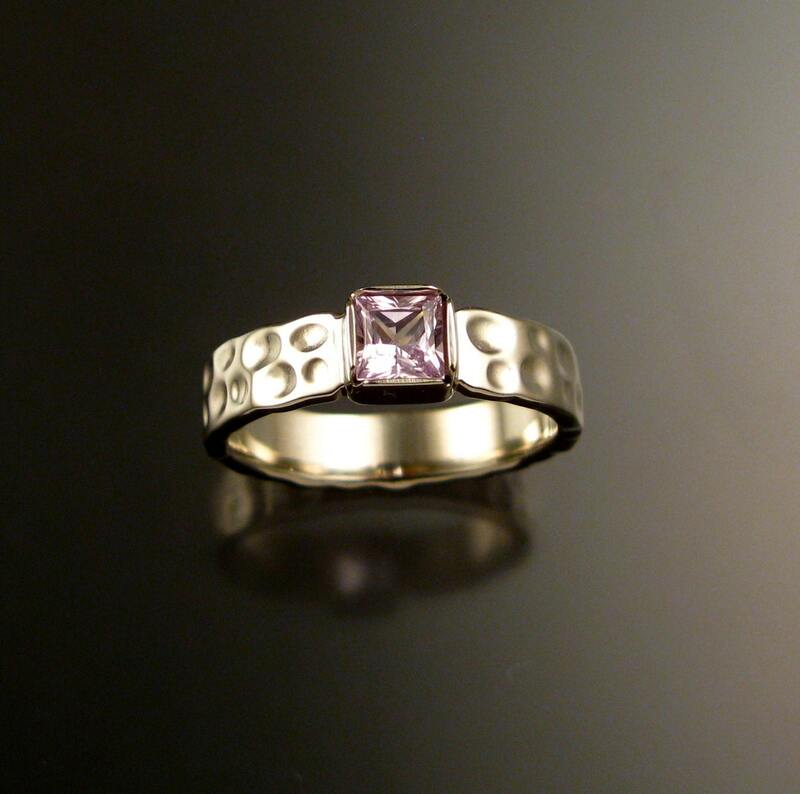 The fourth shows the finished bezel set ring. 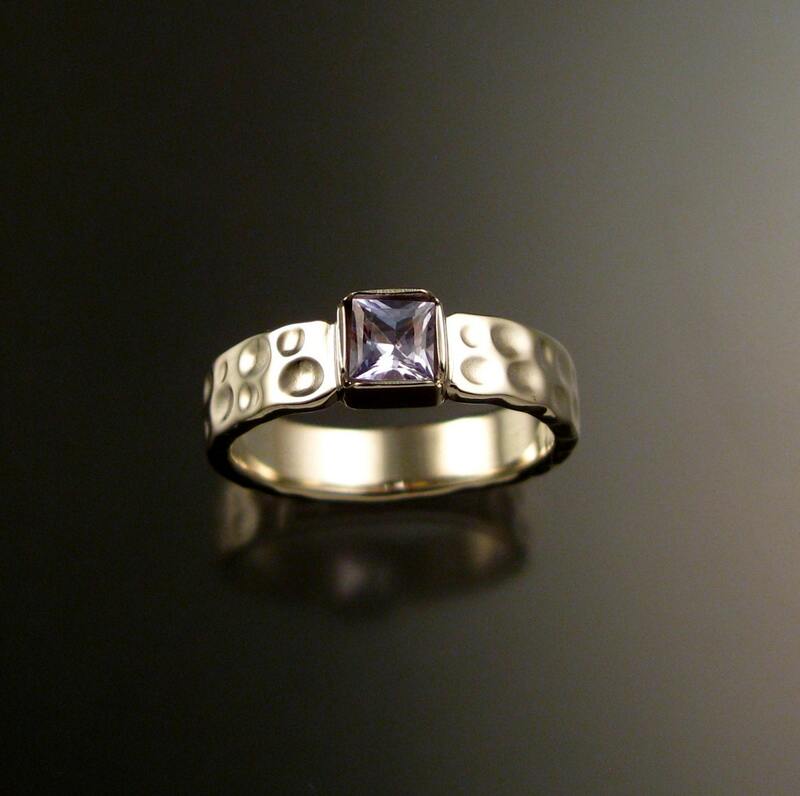 The last picture shows the three stones available for this listing. You will receive your choice of the pictured stones. Specify your size and color preference in a "note to seller" at check out.